I started this post a long while ago(look how small Sam is in some of these photos!). I don't know why I never finished it. But I love reading other blog's fav. gear posts. There's so much stuff out there and it's hard to know what's worth to buy and what is just silly. 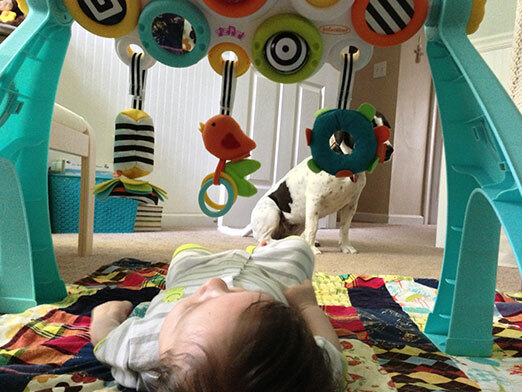 - Bright Stars Sleeper: I first bought this because I thought Sam was totally not happy with the pack and play crib and I was desperate to have him sleep on his own. Next day he was fine in the pack and play(of course). But! This sleeper turned out to be awesome anyways. We use it in the office when we are working in there, we bring it downstairs instead of lugging the pack and play and we bring it to grandma and grandpa's. We've been using for the past few weeks while Sam's been sick since laying flat on his back makes him cough from the mucus. - Tommie Tippee Microwave Steam Sterilizer: Since we use bottles to feed Sam we need to clean them a lot. First we washed by hand, but that took forever and wasted so much water. Then we got a pack of the Medela microwave bags, which are great but each bag is 20 uses. One day I was at the store and I saw this Tommie Tippee one. How did I not see this before?? Me and Rob are loving it. It saves us so much time and water. It fits our Born Free bottles and my Ameda Breast Pump parts. look ma, my head is straight! 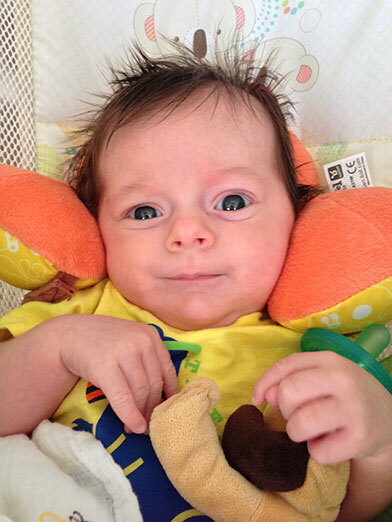 - BenBat Head and Neck Support: Like all babies, Sam had no neck control and right neck muscle is super tight. When he's in his car seat his head actually looks like it's laying completely horizontal on his shoulder. Ouch. I looked around for a good neck support and even ordered one that really sucked. I saw this one and like how it supports the neck and head and it's super cute. 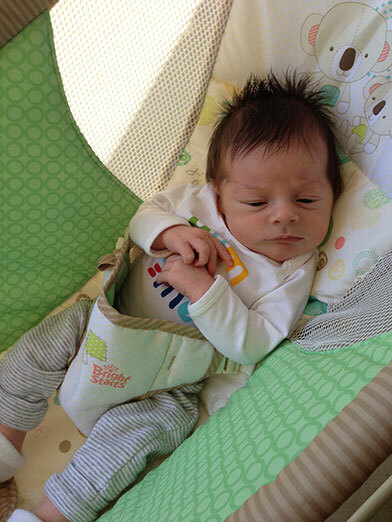 It works well in his car seat and we even use it in the swing and sleeper. - Infantino Pop & Play Activity Gym: When we first got this Sam love it, even though he'd just lay there looking at the lights and listening to the music. Now he bats at the toys and rocks out to the music. And it totally makes him smile, which is a hit in my books. I love it because you can take out and swap some of the toys on it to keep it fresh and interesting. You can also take off the legs and use it for tummy time or strap it to the crib. Also, the music it plays is real fun. Reminds us of 8Bit video games. - Look at the Animals book: Sam loves this book! When he was super little, he'd stare at it, taking in the high contrast pictures. Now when I read this book, he gets the biggest grin. I need to get more of these books. - iPad and iPad: I just had to list these because it's seriously one of the best things to have while taking care of a baby. It keeps you awake during late night feedings with all its apps and the internet. The alarm wakes you up for late night feedings. If you need to search some baby related thing on the internet like Baby Hiccups at 2am it's awesome. If you're away from your computer and you realize you're about to run out of diapers, you can order it right there on the iPad. You can download apps to keep track of feedings and diaper changes. You can take photos and videos. You can video chat with family who is on the other side of the country. Sanity saver!